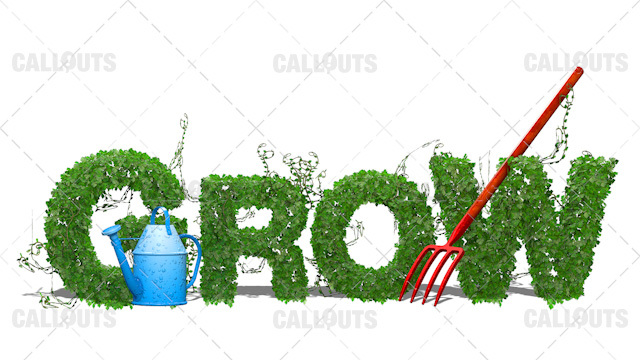 Rendered 3D text of plants growing a watering can and a pitchfork , the growing text forms the word GROW, placed on white background. Use in your presentations etc., to showcase growth. JPG format in full HD 1920x1080px.